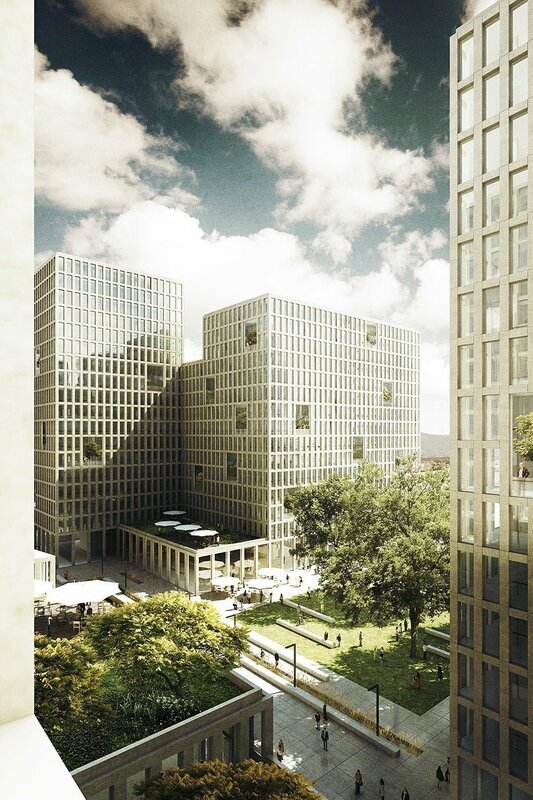 This project is built around a succession of squares integrated in an urban continuity. 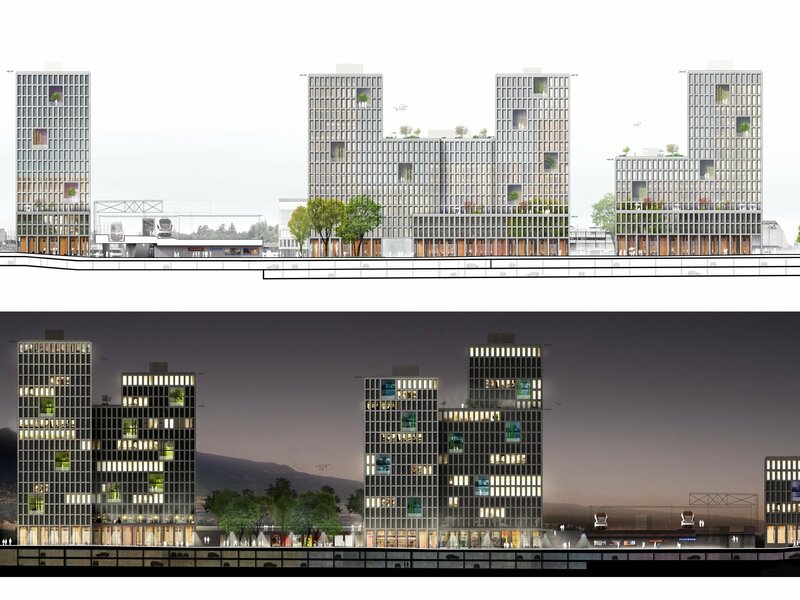 It anticipates the development of the green lane planned in the Plan Acacias Vernets (PAV) towards Carouge. 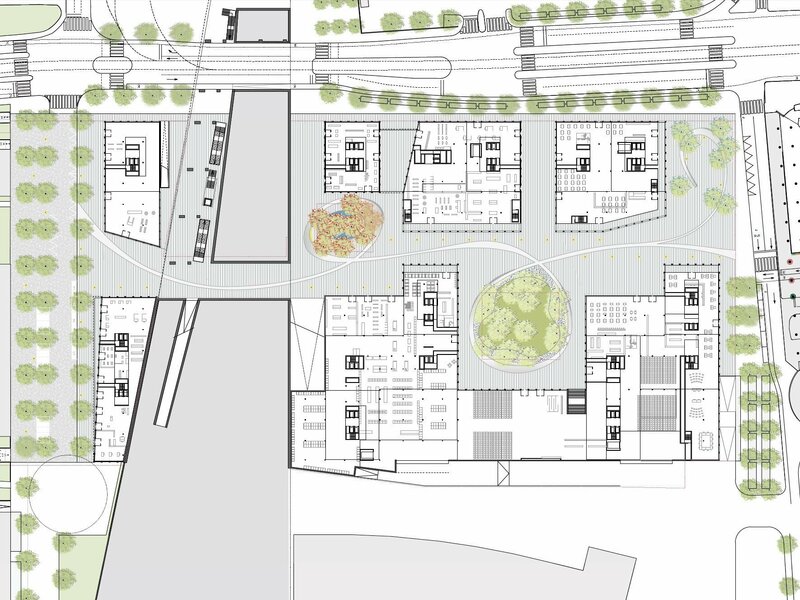 The rigid lines imposed by the urban plan is understood in strict compliance with the regulation so as to create a district which opens on the city, both varied and consistent, giving this new part of the town - the Lancy Pont-Rouge station - a distinct identity. The project is divided into 5 lots. The ground floors of the buildings are dedicated to commercial activities while the upper floors exclusively host office spaces. 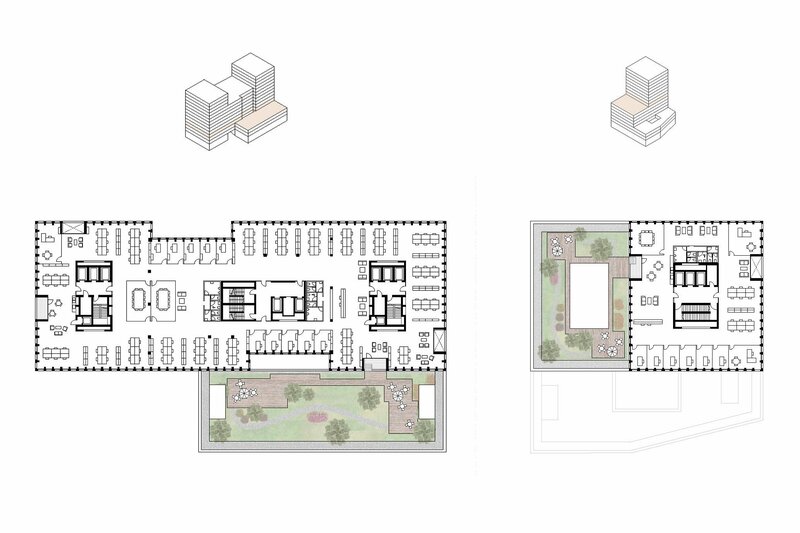 Floor plans provide great flexibility and offer both large office spaces and smaller premises. Issues related to sustainable development and energy efficiency are detailed in precise and ambitious project specifications established by the CFF. 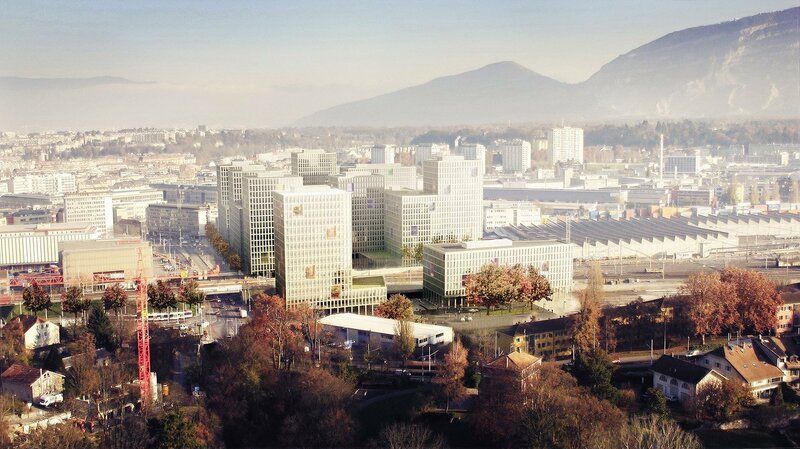 Less than 2 kilometres away from the city centre, the real-estate project of the CFF, at the foot of the Lancy hillside, creates a new and unique urban centre in Geneva. 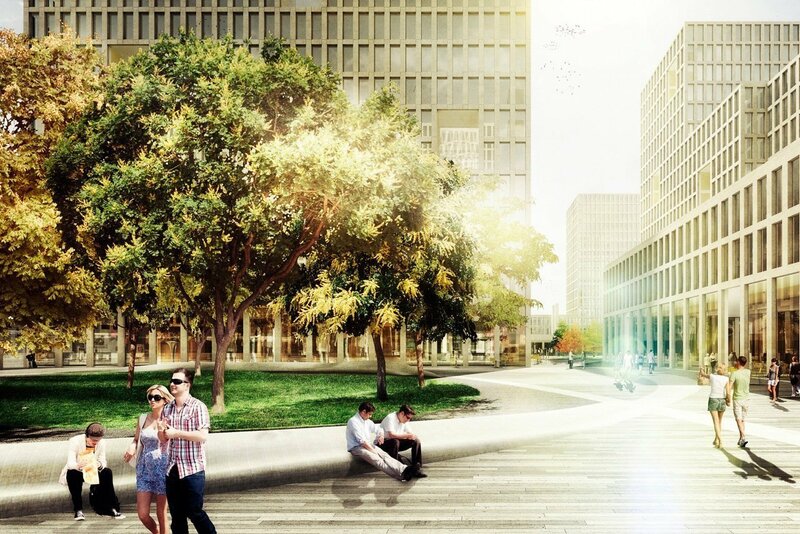 Pont-Rouge shall associate quality of life and modernity, with a group of 6 buildings dedicated to mixed activities situated in the heart of this new mixed- used neighbourhood. The activities shall include offices, shops, leisure areas, public facilities and a hotel structure. 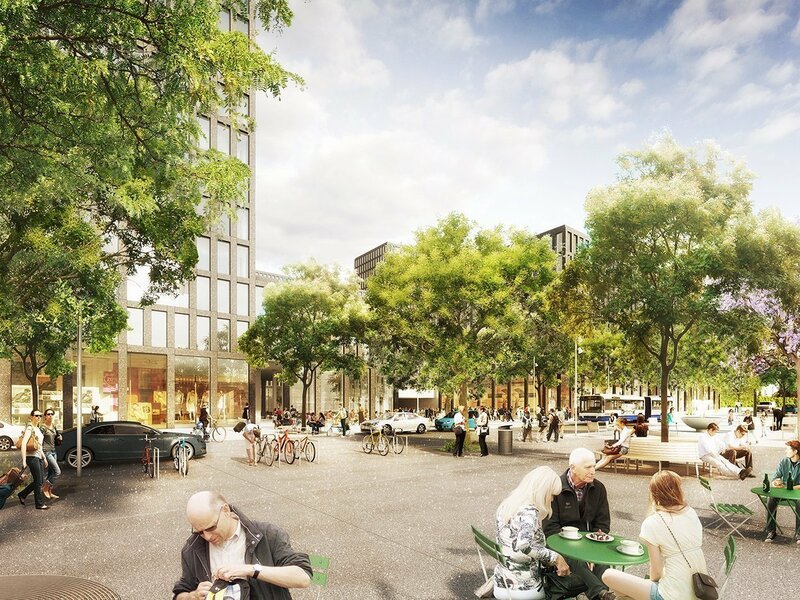 It will benefit from an exceptional accessibility, notably due to the new railway connection CEVA, which will substantially increase mobility within the Geneva city area and will ensure cross border connectivity between the Swiss and French networks. 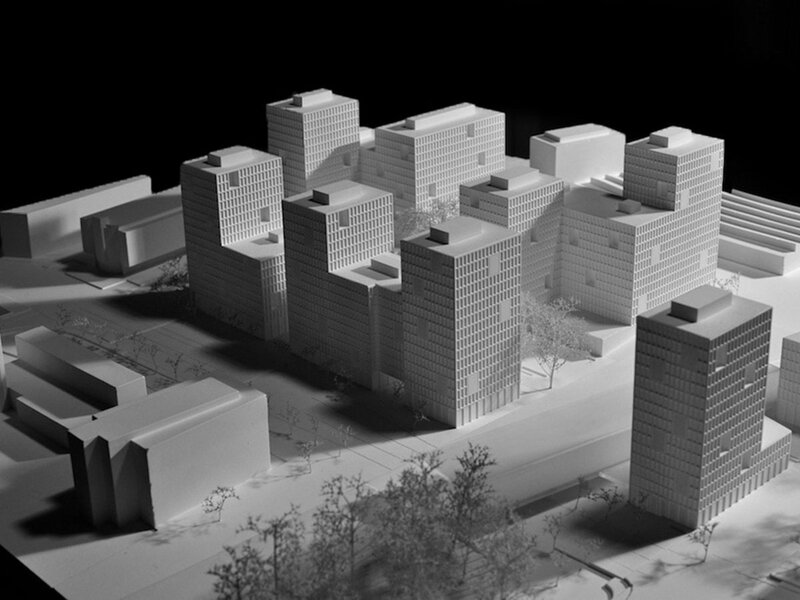 The area including la Praille, Acacias and Vernets (PAV neighbourhood) is undergoing significant change to become a strategic crossroad in the future developments of the Canton of Geneva. The 2011 law about decommissioning gave the crucial impetus to the urban transformation of this former industrial zone. 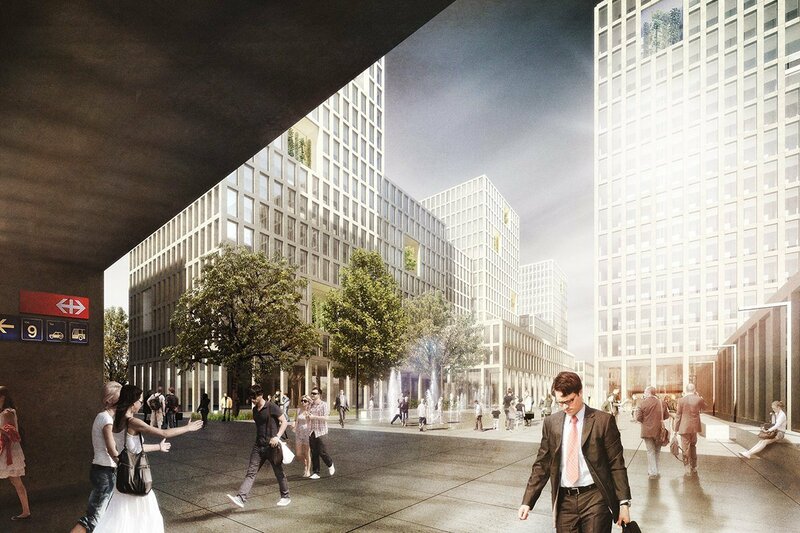 By 2019, the new railway connexion CEVA will link Cornavin station to the town of Annemasse with five stops, the main stop being the Lancy-Pont-Rouge station. The CEVA connection will serve more than 240,000 people living or working less than 500 meters away from one of the stops.